I love a freshly baked cake for afternoon tea, and even better is one that is so easy to whip up without the need to make too many dirty dishes. 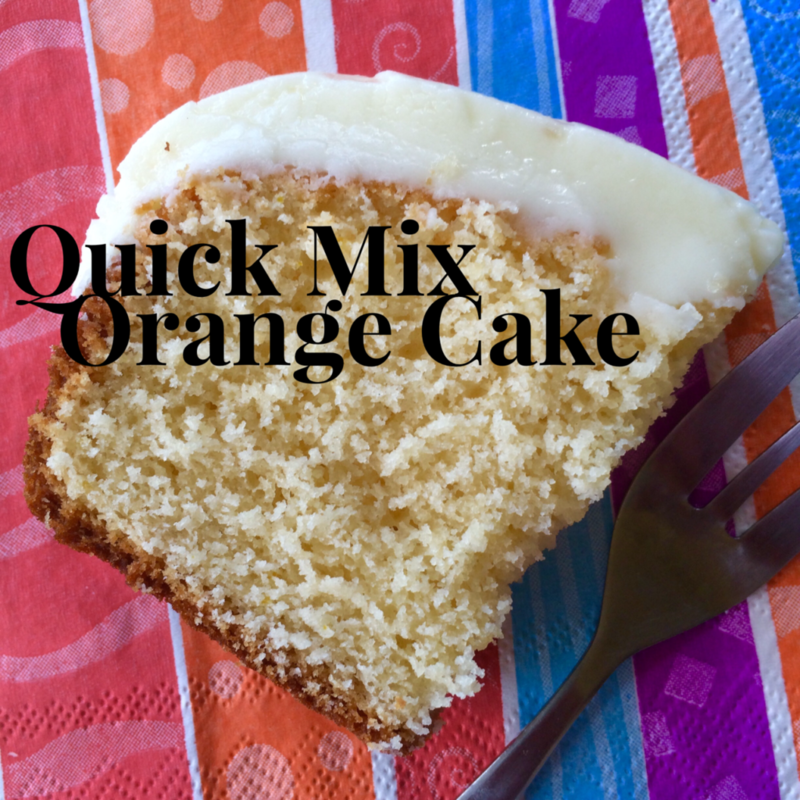 This orange cake is quick and easy to prepare and can be made with lemon or limes instead if you prefer. 3 cups of icing sugar mixture. 2. Prepare your pan (13 x 20cm) or loaf pan by spraying with non stick spray and lining with baking paper. 3. Place the butter in a microwave safe jug or bowl and heat for 20 seconds until almost melted. 4. Add the two eggs and whisk together well. 5. Grate the rind of the orange straight into the mixture. 6. Add the milk and whisk, by adding all the wet ingredients first and then the dry, stops lumps from forming. 7. Add the caster sugar and flour and whisk until well combined. 8. Pour into prepared pan and bake for 35 minutes or until a skewer comes out clean. 9. Allow to stand for 5 minutes before turning out on to a cooling rack and let the cake come to room temperature before topping with icing. 1. In a clean bowl add the extra 20 grams of butter and melt in the microwave. 2. Juice the orange and add to the butter. 3. Sift the icing sugar mixture into the bowl 1 cup at a time. (you may need a little more or less icing sugar mixture depending on exactly how much juice you get from the orange, if you prefer a thinner coat of icing only use the juice of half an orange and half the icing sugar mixture). 4. Spread over the top of the cake and place it in the fridge until firm before covering with cling wrap. 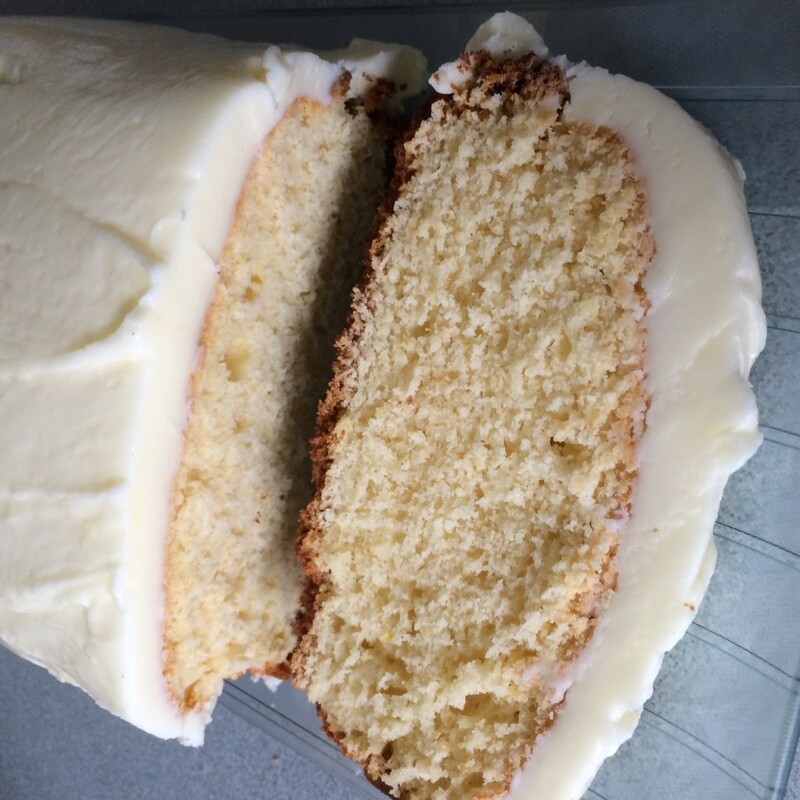 This cake keeps really well in the fridge for a few days and is a great one to make for a bake stall at school as it has simple ingredients. What is your favourite cake to make? Feel free to leave a link in the comments so I can try it out. We eat lots of rice here at WWHQ, and one thing I cannot stand is soggy, gluggy rice. Many years ago I used to boil rice on the stove and it would be hit and miss. Probably more miss that hit. Also many years ago I bought a microwave rice cooker on clearance at David Jones. Back then it cost me $13.00, but more than a decade later it still works perfectly every single time. I have used the rice cooker for white, brown and wild rice and all have worked out beautifully. This rice also makes a really good fried rice due to no excess water. 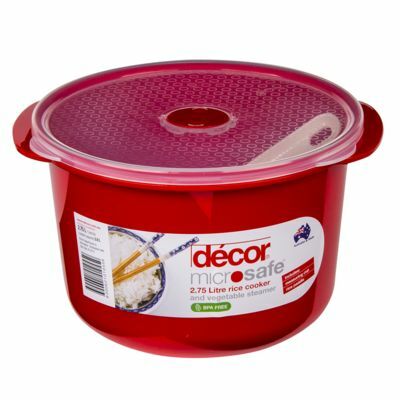 It is incredibly easy to clean and the cooked rice remnants come away easily. Mine being a bit on in years is slightly different from the ones you can now, but I am sure they work exactly the same. Tupperware and she had never heard of them before. I thought every kitchen would have one as they are so awesome. This version you can pop into your trolley next time you go to the supermarket. The last thing you probably want is another kitchen appliance, but this one is worth having and you will use it all the time. What is your favourite cooking appliance that you just can’t live without? 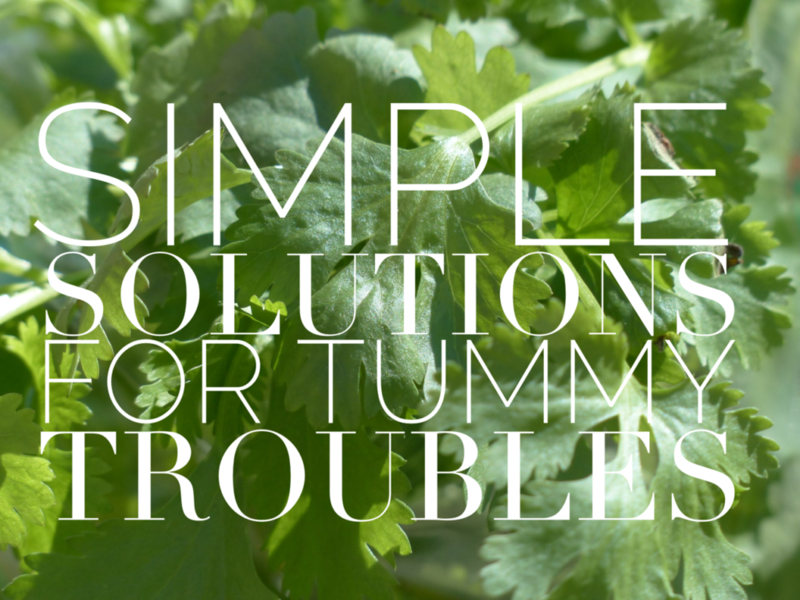 From belly-aches to bloating, tummy troubles can cause great discomfort. There are so many reasons your stomach might be unsettled, such as simply eaten too much, had something a bit too spicy for you or caught a tummy ‘bug’, these easy solutions could help you feel much more comfortable. FRESH CORIANDER – Easy to grow and often found in Thai dishes, eating fresh coriander will aid digestion of food and can improve appetite. It is very helpful in preventing gas building up in the intestines, and helps expel wind from the bowels. Very helpful in relieving stomach aches. CORIANDER SEEDS – Chew on a couple of coriander seeds after a meal to help prevent heartburn and indigestion. CHAMOMILE TEA – Make a cup of chamomile tea to get relief from colic, gas, diarrhoea, cramps, indigestion and irritable bowl syndrome. FLAT LEMONADE – Getting over a bout of tummy bugs or food poisoning can leave you struggling to keep anything down. Flat lemonade gives you some sugar to help boost your lagging energy levels and will often stay down. PROBIOTICS – When the levels of bacteria in your gut are in short supply, you will often experience bloating and gas. 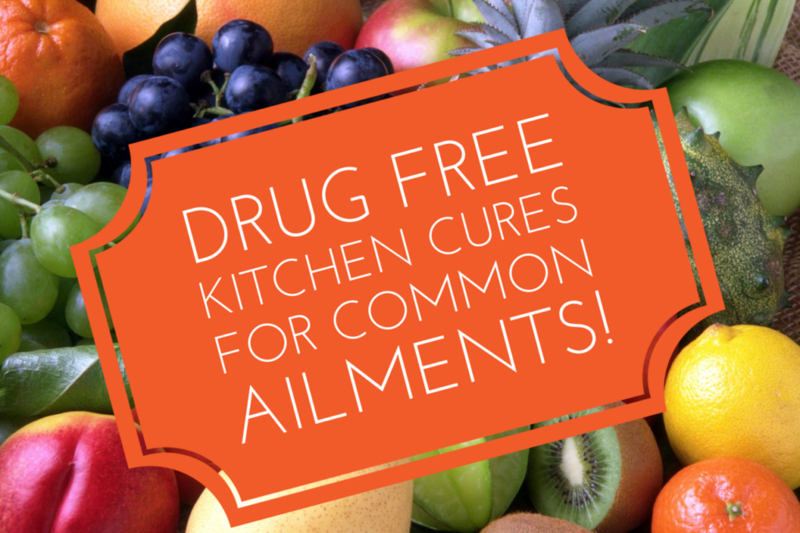 This will often occur if you have taken a dose of anti-biotics or your diet is full of processed foods. Eating fresh natural yoghurt or taking a supplement will help to replenish supply and will also give your immune system a welcome boost. GREEN PAPAYA – In South America this fruit is the go-to natural solution that they swear by. This unripened fruit if full of powerful enzymes that are very beneficial for bloating, nausea, flatulence and stomach cramping. Unfortunately the ripened fruit has lost the enzymes in the process. ALOE VERA JUICE – Is soothing on the skin and soothing to an upset tummy. It is very helpful for constipation, bloating, gas and cramping. PEPPERMINT TEA – Is another helpful tea for tummies. Excellent for easing constipation, gas and bloating. It is the perfect choice of tea to drink after a large meal that leaves you feeling uncomfortable. FRESH GINGER – Grated fresh ginger stir-fried with fresh greens is a great light meal to help ease stomach upsets. You can also use grated ginger to make a tea. It has fabulous anti-inflammatory properties that help sooth discomfort. GINGER TEA – This tea is a favourite to help ease travel sickness and queasy stomach’s from being out on the water or whilst flying. BURNT TOAST – A dose of charcoal will help a tummy that might be feeling a little queasy following just a few too many cocktails. Charcoal absorbs alcohol and will help it clear your system. You can also try all of the above! How do you settle a funny tummy? 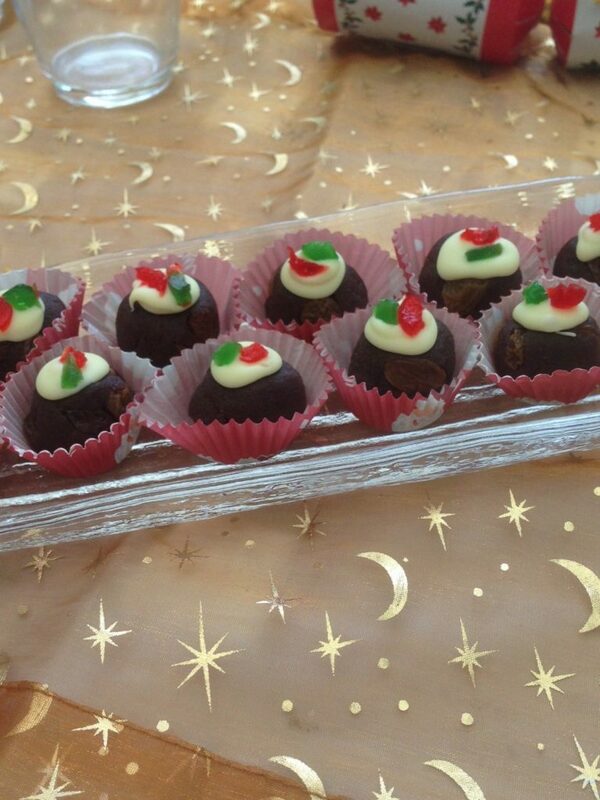 Many years ago, we were out for Chrismtas Day lunch and we had these fabulous almonds puffs on the dessert table. I was determined to learn how to make them. I found a few recipes and played around with them and ended up with this one as my go-to! The keep really well for days in an airtight container (if they last that long). – Bake on the centre shelf for 10 – 15 minutes. When they have cracked slightly on top and have a small golden patch on the base they are ready. – Allow to cool on the tray for a few minutes so that they firm up and don’t crumble. – Transfer to a wire rack until completely cold. If you use pure icing sugar, these are a fabulous gluten free treat. 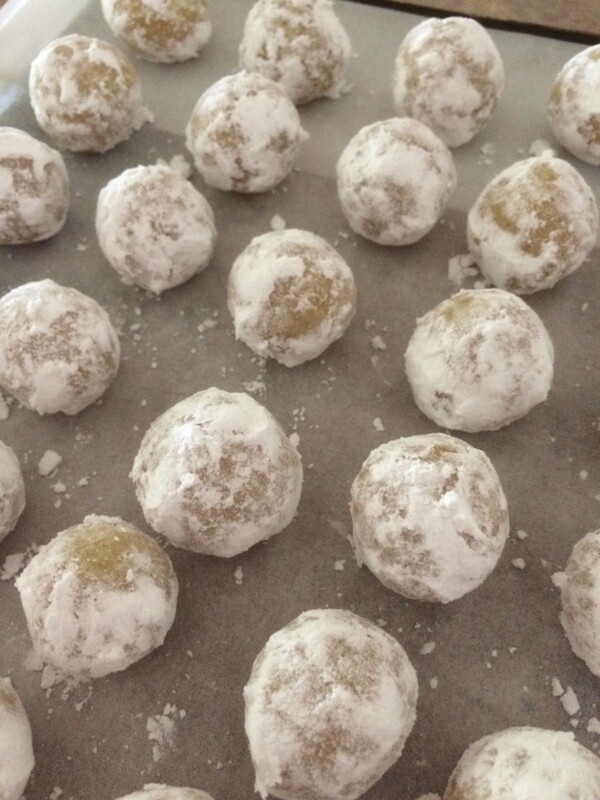 This recipe will make approximately 30 balls. 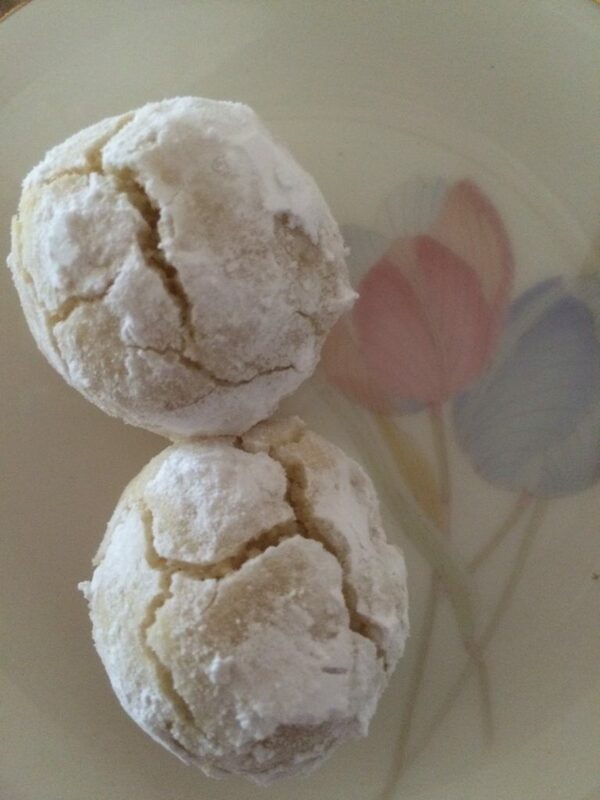 These little balls of yumminess are always made at Christmas and Easter time and a few batches in between. What is your favourite biscuit that you love to make? How To Melt Chocolate Perfectly Every Time! Hands up if you have tried to melt chocolate, and in a blink of an eye it has turned into a rough and grainy blob of uselessness? I have done it a few times, a damn expensive waste of the good stuff. It only takes a tiny drop of moisture or burst of steam to instantly destroy chocolate! After much practice these handy hints will ensure you get your chocolate smooth and glossy every time. * Always use a non-porous bowl. Metal, glass or ceramic is perfect. Plastic bowls will often have residues that remain on the surface that can ruin your chocolate quickly. * Do not use a wooden spoon to mix the chocolate with. They can contain moisture or cooking residue as well. * Always break up your chocolate into small pieces, it speeds up the process and reduces the risk of overheating. 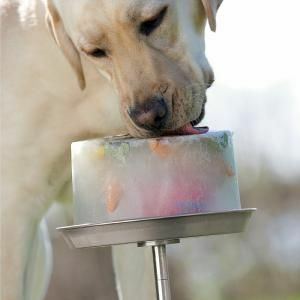 * Do not use chocolate straight from the fridge, condensation will create enough moisture to make it seize. This is my preferred method of melting chocolate and it works for me every time. Simply place a saucepan on the burner over a low heat with about 1 cm of water in it. Ensure you use a bowl that is big enough to sit securely in the saucepan without touching the water and do not lift the bowl up off the saucepan until the chocolate is melted. Stir continuously with a metal spoon until completely melted. Turn off the burner and place the bowl on a board to protect your bench and allow to cool slightly, unless a recipe indicates you to do otherwise. This method caused me the most grief, but a little fine-tuning and I have got it to work. As microwaves heat things so unevenly it is so important to do this in small bursts. 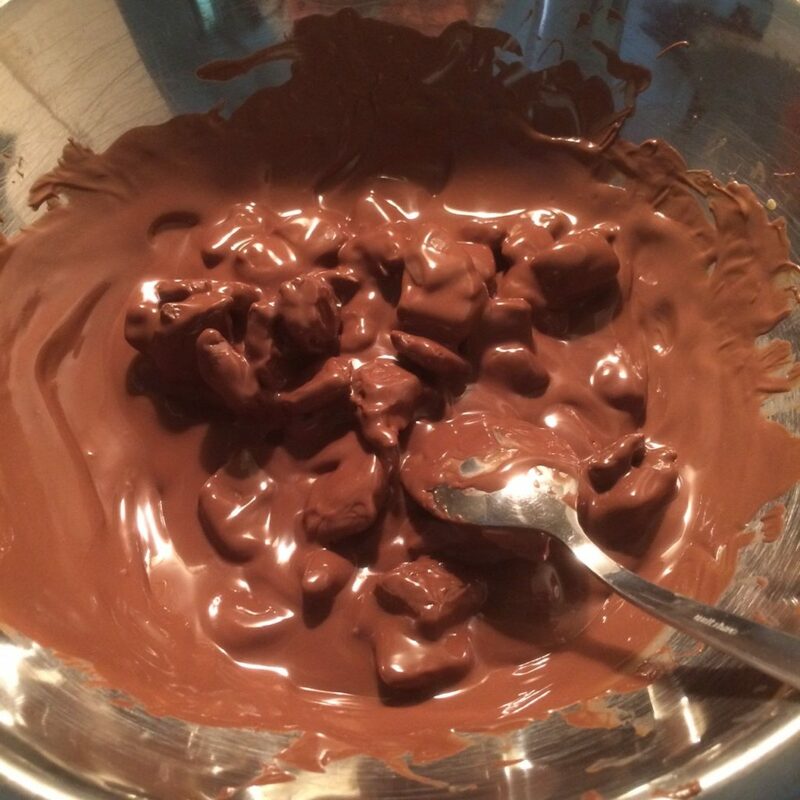 Use a glass or ceramic bowl and place the bowl and chocolate in the microwave. Using 50% power, microwave the chocolate in 30 second bursts. Stir really well after each 30 seconds with a metal spoon. When the chocolate is almost completely melted, do not place it back in the microwave. Just keep stirring it and the last little bits will melt. Here is some fun melted chocolate inspiration for you. Enjoy a Hot Chocolate Bath. Get some yummy Hot Chocolate drink inspiration to warm a chilly day. Make a fabulous chocolate and caramel Lava Slice. Easter is fast approaching and whilst it is all about the chocolate, yay, it is also a time for family and friends to get together and spend some time enjoying each others company over good food. 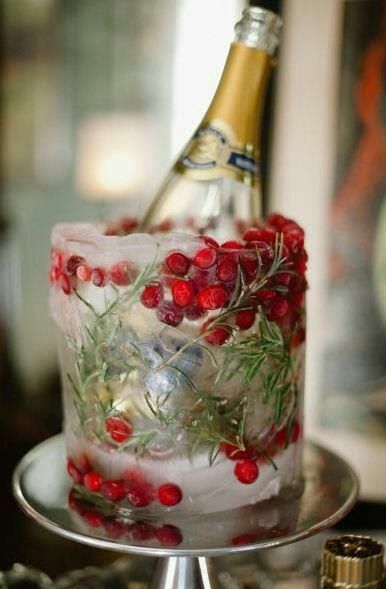 I found this clever idea whilst through Pinterest, my favourite haunt for holiday inspiration. 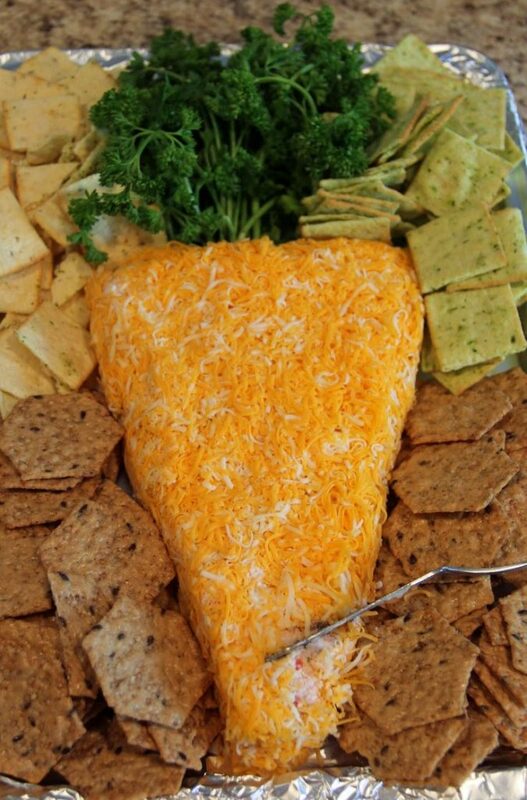 I have an awesome cheese ball mix to use as the base to create this Easter inspired yumminess! This recipe makes one generous sized cheese ball, so it would probably be worth making a double sized batch so you can make a good sized ‘carrot’. 1 bunch parsley for the ‘carrot’ top. Line a slice tray with aluminum foil, making sure it is long enough to cover the ‘carrot’ when shaped. Using damp hands press all the ingredients together, shape in to a triangular shape and lay on the foil. In the example above they have covered the ‘carrot’ with extra cheese, but I will use the coating mix I normally use with this cheese ball. Combine one teaspoon of sweet paprika and one teaspoon of mild curry powder and sprinkle over the mix. It has an orange colour and adds extra flavor. Wrap the ‘carrot’ with excess foil and place in the fridge preferably overnight. Add the parsley once you have placed the ‘carrot’ on a serving platter. 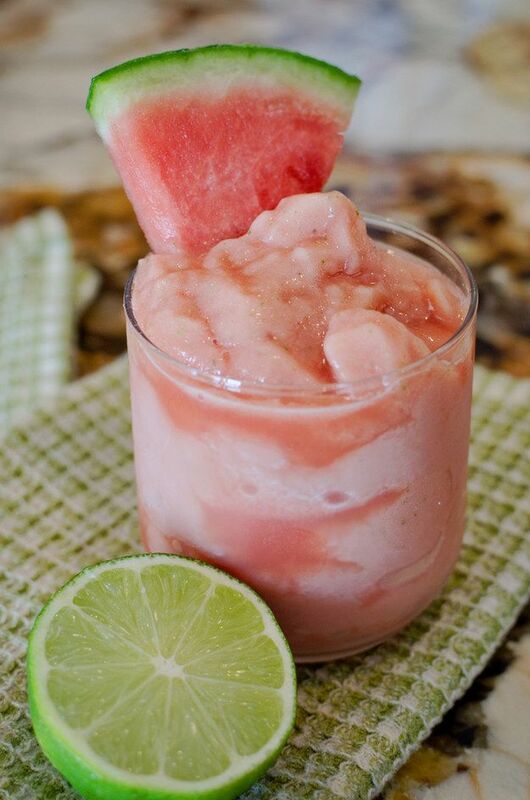 This recipe is suitable to freeze if you want to make it in advance. What do you like to cook at Easter time? 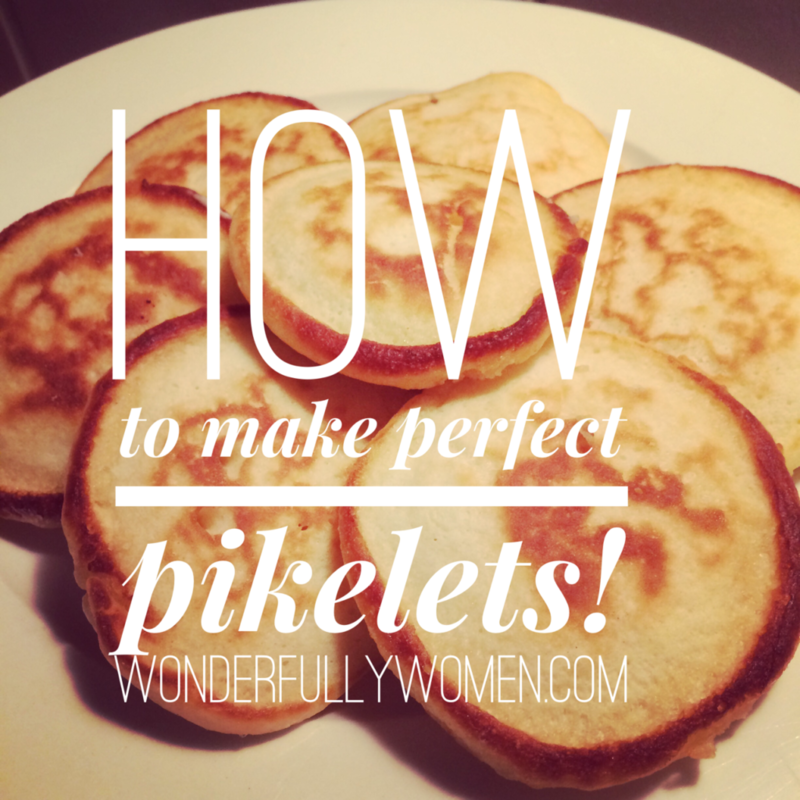 Pikelets are a yummy treat and are so easy to make. They only take about 10 minutes to make so they are an easy afternoon tea for unexpected visitors or for an after school snack. Traditionally they are sweet and served with jam and cream, but I also have a few suggestions below for savory alternatives as well. The trick to making good pikelets is having the right batter consistency. 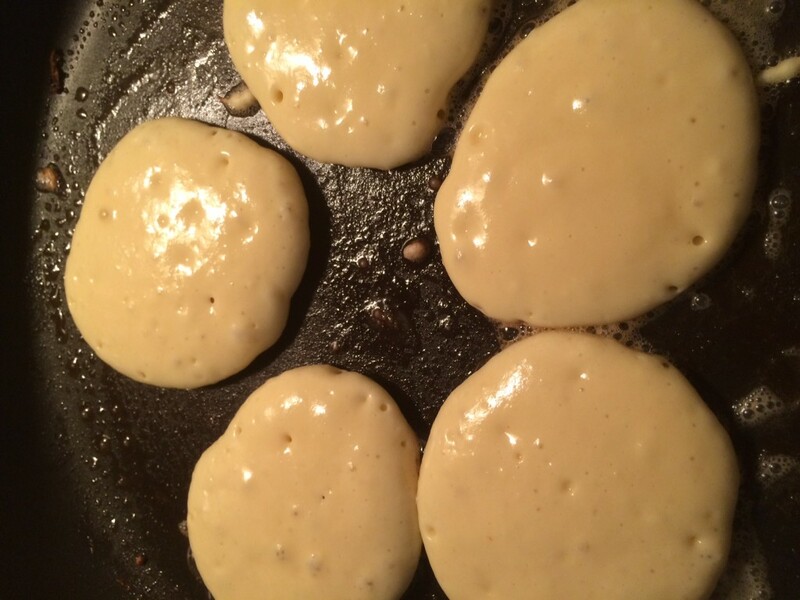 If it is too thick then the centres will not cook through and they will be doughy and if the batter is too thin, they will end up looking like pancakes. In a medium sized jug or bowl, add the egg and milk and whisk until combined. Add the sugar and flour and whisk until free of lumps. Heat a large non-stick fry pan over medium heat. Add a little butter to just cover the base of the pan when melted. Add spoonful’s of the batter into the pan keeping a little space between each one so that you have enough room to get an egg flip underneath them when it’s time to turn them. When little ‘holes’ appear at the top of the pikelets, it is time to turn them over. Gently lift them up to check when they have coloured. Place cooked pikelets on a plate, add more butter and repeat. This recipe makes 12 large piklets. 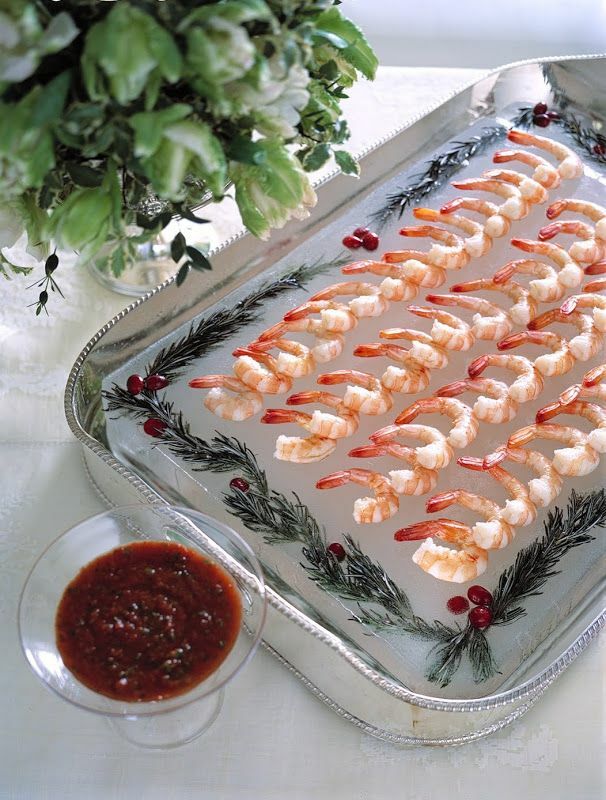 Serve with butter and jam or freshly whipped cream. – Sliced banana and a dollop of caramel sauce. – Whipped cream and fresh berries. – Add mini M&M’s to the batter before cooking. – Whipped cream and crushed peppermint crisp or flake. If super sweet is not your thing, why not try some of these savory options. Simply omit the sugar from the basic batter mix and add these choices to the batter before cooking the piklets. – Grated cheese and a small can of corn kernels that has been well drained. – Finely dice 1/2 and onion and two rashes of bacon and brown. – Diced cooked chicken and sun dried tomatoes. – Finely dice a left over sausage or two. – Thin slices of ham and chopped spring onion. Pikelets freeze really well. Wrap a couple in cling wrap or put in a snap lock bag. 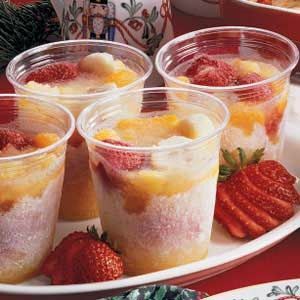 Put them in lunch boxes and they will be defrosted when it is time to eat. Frozen fruit and vegetables are a convenient way to get your ‘5-a-day’, but there are some very bad berries out there that are serving up more than you bargained for, a dose of Hep A! Who would have thought that those little balls of yumminess that are right at home in your smoothie or splashing around in your yoghurt could pack such a punch. Well known and trusted Australian brands such as Nanna’s and Creative Gourmet have had to recall their frozen berry products, as the cheap imported berries that make it in to their bags and boxes have not been screened or tested and have been the cause of Australian’s contracting Hepatitis A. 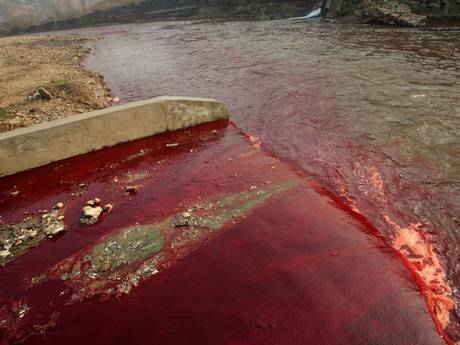 One fifth of China’s natural water supplies is toxic to touch! Unfortunately Australia is a very small player in the production of berries worldwide as most of our continent does not have cold enough weather necessary for plants to produce their luscious crop. Too keep prices down, companies have no choice but to outsource supplies from nations that will keep supplies up at minimal cost. Whilst berries have been in the spotlight over the last couple of weeks, and rightly so, they are not the only foreign produce making it’s way on to our tables and it will only be a matter of time that more incidents of Hepatitis A or some other illness makes it on to the news. BUY ONLY BIRDSEYE AND EDGELL! SHOULD SIMPLOT CLOSE, THIS MEANS THAT NO AUSTRALIAN GROWN FROZEN VEGETABLES WILL BE AVAILABLE AT ALL AND WE WILL BE RELYING ON FOOD GROWN TOTALLY OUTSIDE AUSTRALIA. For a number of reasons this is not a good situation. It is imperative that we all support these Australian brands selling good Australian vegetable products (via Simplot): Birdseye and Edgell. 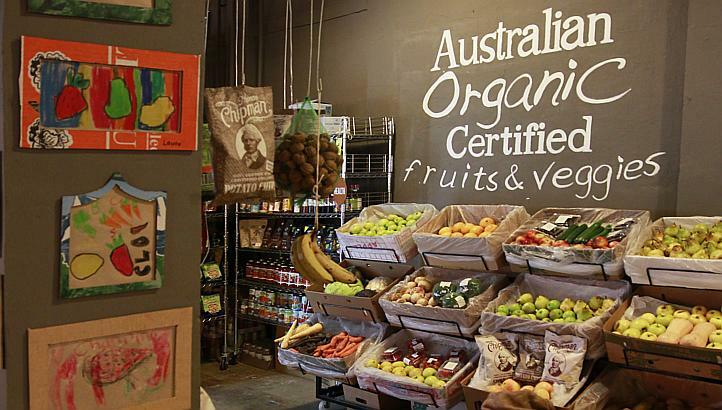 Next time you shop, please think about the future of Australian food. What do you reckon folks? Let’s buy Birdseye and Edgell. Some of us love our designer labels. We buy premium brand shoes, premium brand clothing and well known premium perfumes and handbags. BUT … we also look buy the cheapest food we can for our children to eat. That doesn’t make sense. This is so true. The farmers in Tasmania are extremely worried about Simplot’s impending closure. They also have a lone food processing plant in Bathurst subjected to the same uncertainty. If these last remaining plants close, it means that China then has total control over our fresh/frozen vegie industry. It is particularly disturbing to see that Chinese-grown vegetables are coming in branded as a product of New Zealand. We have choices, let’s support Aussie farms and our health. Buy organic, buy from local markets, grow your own or have farmers fresh supplies delivered to your home. Australia has strict rules and regulations in place for our safety. Hepatitis A can take up to 6 months to clear your system and cause a lot of pain and symptoms when the virus takes hold. Our economy will thank you too! National Hot Tea Month – Handy Teas To Have At Home! National Hot Tea Month seems like a great time to share some handy teas to have at home that can really help with some of the annoying health issues that seem to strike all of us at some time. 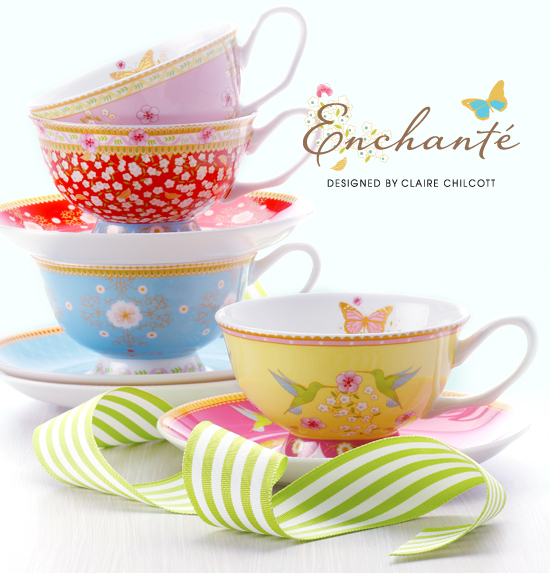 I love a good cup of tea and beautiful fine china cups or mugs to drink it from. On a cold day nothing warms me more than a fresh tea. Even in the warmer months drinking hot tea can actually have a cooling affect, or you can always make iced tea if you prefer. Tea is full of health benefits including anti-oxidants, especially green tea which is a very worth contender for daily consumption. Herbal teas have been used for centuries to help soothe the symptoms of common ailments, but if you have no idea which ones are good for what, this guide will help. CHAMOMILE – Is the perfect choice for a sore tummy, to calm frazzled nerves and help lift you if you are feeling down. PEPPERMINT – Is a wonderful pick me up if you are tired and is very soothing for digestive issues. GINGER – Is a good choice for nausea and travel sickness and calming diarrhoea. LEMON – Will ease the sting of a sore throat. LEMONGRASS – Can ease bloating, will help calm headaches and nerves. THYME – Is the best tea for calming a nagging cough. SPEARMINT – Is a great tea to clear blocked sinus and ease upper respiratory infections. RASPBERRY LEAF – Can help calm morning sickness and towards the end of pregnancy will help prepare the body for delivery. JUNIPER BERRY – Is a great helper for dealing with urinary tract infections. FENNEL – Can be very helpful in soothing the discomfort of Irritable Bowel Syndrome and is a great diuretic and will help flush excess fluid from your body. Before drinking herbal teas it is always a good idea to check with your doctor first if you are regularly taking medication or have ongoing health concerns. Herbal teas should always be drunk without the addition of milk. Add a little honey if like sweetness. You can buy some of these teas in the supermarket but otherwise your local health food shop should certainly have them. I prefer to buy them in teabag form, so that they don’t get brewed too strong. Always read the directions on the packet. With many herbal teas, you will need to let them steep for considerably longer than you would a normal cup of black tea. Day 30 – 31 Ways To Overcome Burnout! That can be the last thing you want to hear after a busy and exhausting day. 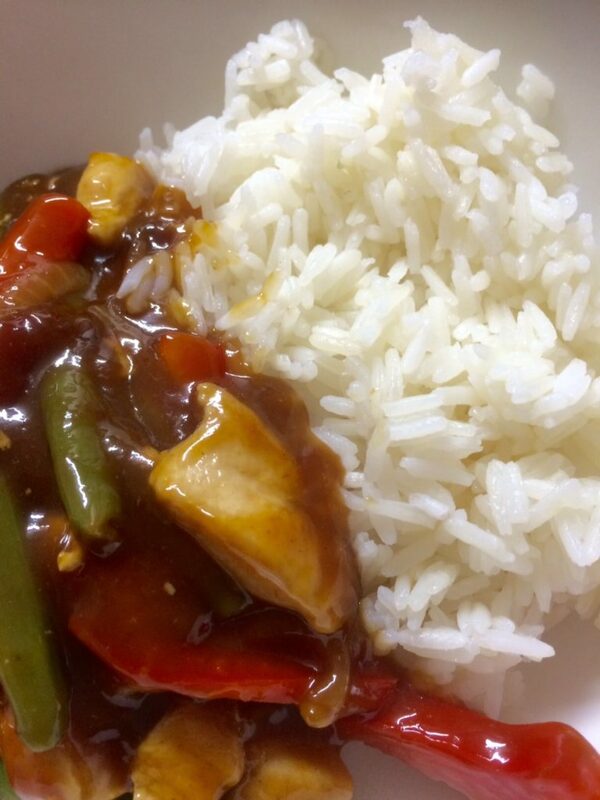 It can be so tempting to just pick up takeaway to save you time and effort. 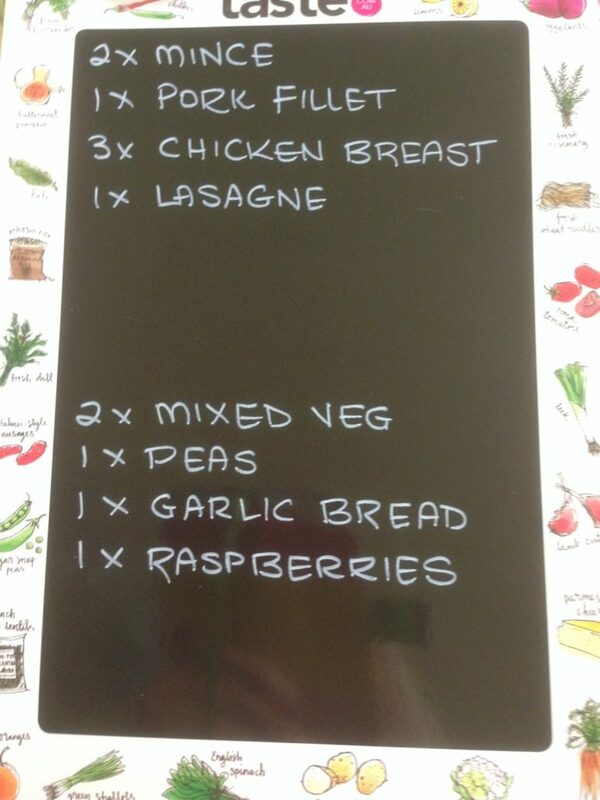 With a little planning deciding on dinner can be quicker and easier. Do you actually know what is lurking in the back of your freezer? I used to go and buy things to cook with only to discover a week later I already had what I needed. With the help of a magnetic memo board on your freezer door, you can keep track of the contents. Every time you put something in or take something out, simply update the count on the board. Defrosting meat in the fridge is the safest way to avoid contamination. Select what you need the day before and place it in the fridge to defrost overnight. It is amazing how much food goes to waste. There are so many things you can freeze and this list will ensure you are not throwing out food that could be used at a later date. Make sure anything you place in your freezer is in a sturdy container or snap lock bag. Don’t rely on thin freezer bags as your supplies will be quickly susceptible to freezer burn. Sit down once a week with your junk mail and do a plan for the week ahead. Make use of heavy discounts on items such as meal kits, pasta and curry sauces, and other products your family enjoy eating. Shop online and have your groceries delivered, or visit your local supermarket but only buy enough for the week ahead. Stocking up on too much fresh produce will see most of it go to waste. Fresh is best but not if has been sitting in the vegetable crisper for a week or more. Frozen vegetables retain their nutritional value as they are snap frozen fresh from harvesting. Create a master list of meal ideas. Get everyone in the family to contribute to the list and if you make something new that everyone enjoys, add it to the list. A quick glance down the list can help you select meals quickly and help break the boredom of eating the same things all the time. How often have you cut a recipe out of a magazine and then you can’t find it when you actually want to make that meal. 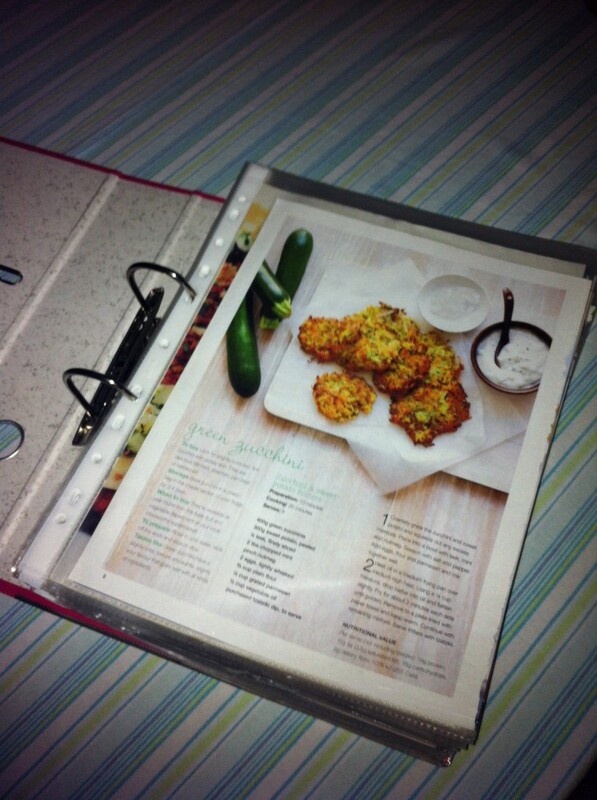 With the help of a leaver arch file and lot’s of plastic pockets you will never loose a recipe again. When you want to cook something just remove it from the folder and it will remain protected from cooking splatters. I also have a folder for home ideas, Christmas and dinner parties. I just love folders! Meal times don’t have to be such hard work, just a little planning and each night you can get straight to it and you will save a fortune on wasted food and expensive takeaways! For the full list of 31 Ways To Overcome Burnout start here!